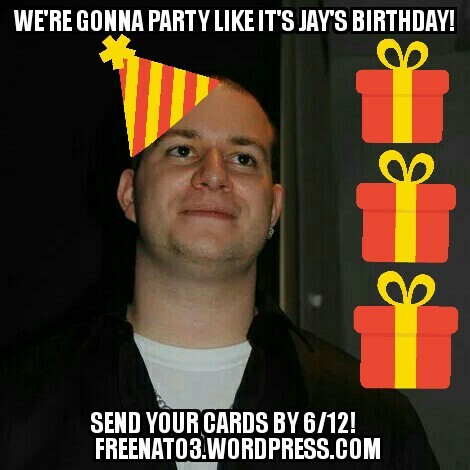 assault, getting one more year in prison and losing a year of good time, Jay sure can use some birthday cheer! In the weeks to come, please send Jay a card, a letter, some photos or even a book (though we understand he has tons at the moment). Lets show the jailers how much support Jay has from our community and remind him we have his back.